“We have resolved the issues relating to the insurance. Our flights have resumed but our full operations will start tomorrow. Two flights are already leaving to Port Harcourt and Abuja this evening. We sincerely apologise to our clients,” Adebanji Ola, its spokesman said in a statement. In another statement, the Group CEO, Dr. Michael Arumemi-Ikhide, apologised to its passengers and said the airline was fully committed to normal operations and minimise any unfortunate inconvenience to them. “Where flights have been cancelled, the airline will notify passengers through SMS and in such cases, passengers will be accommodated on first available alternative flight as soon as normal flight operations resume,” he said. The development left many passengers stranded at airports across the country, many of whom were returning to work after the Moslem festival. According to international regulations, aircraft could not be allowed to fly without insurance, which is done for the total number of aircraft in the airline’s fleet. The airline, however, said in another statement that flight operations were resuming after 16 hours of disruptions, apologising to its passengers across the country for the inconvenience the suspension of operations might have caused them, adding that it would get in touch with them to provide an update on rescheduling of their flights. “All customers are kindly advised to contact Arik Air’s Call Centre (01-2799999), Airport or City ticket offices or visit the airline’s Website for further updates. Passengers are also advised to check with the airline regarding the status of their flights before proceeding to the airport,” the airline said. 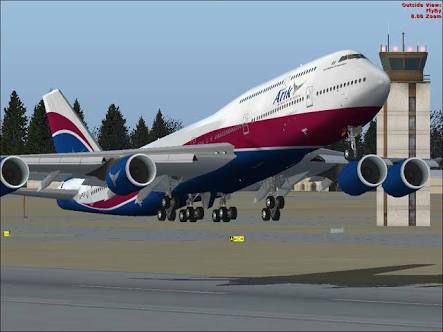 Arik is the third domestic operator to suspend operations since the effect of the nation’s economic downturn began to hit the aviation industry.